Lost wax is not a lost art at the Shidoni Foundry near Santa Fe, New Mexico. 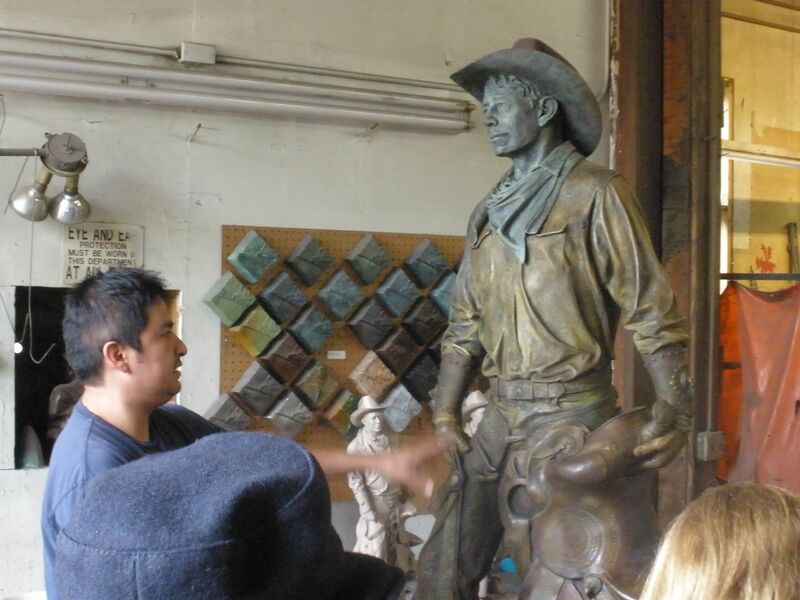 Nestled in the Rio Tesuque Valley, among former apple orchards and majestic cottonwood tress, the Shidoni bronze art foundry is known around the world for its superb monumental bronze craftsmanship. 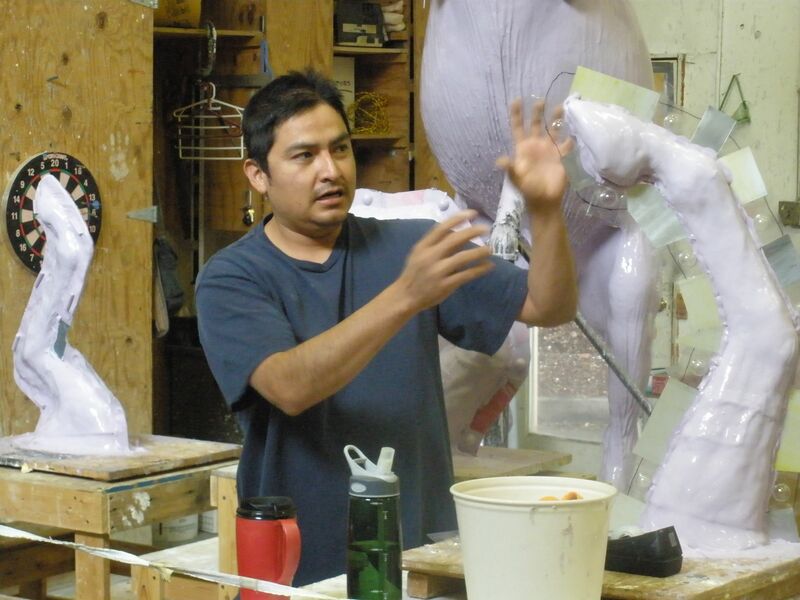 Working artists who comprise Shidoni’s staff specialize in large scale work, as well as smaller one-of-a-kind casts and recast editions. 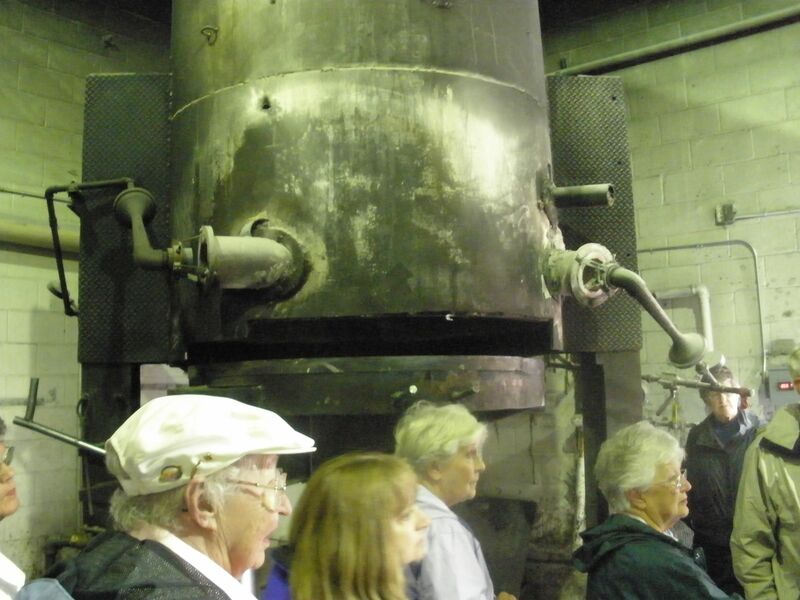 I had the pleasure of touring Shidoni’s 14,000 square foot facility during an autumn Colorado College reunion lead by anthropology professor emeritus Dr. Marianne Stoller. I invite you to enjoy the following photo and video blog, which document the labor intensive, multi-faceted process of lost wax bronze casting. The final video in this post is courtesy of New Mexico PBS station KNME. This excerpted documentary demonstrates Shidoni’s innovative techniques and application of cutting edge material science during the complex process of casting metals. The video also features renown American sculptor Allan Houser, but fails to identify a woman sculptor, whom I believe is Glenna Goodacre, the well-known artist who designed the obverse of the Sacagawea dollar. I welcome your comments and correction if I’ve misidentified the interviewee. 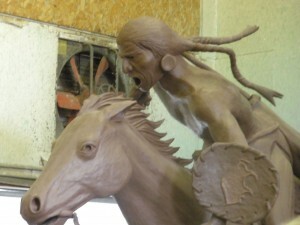 Model: large works like this use an inner foam structure to maintain the structural integrity of the clay or wax model. 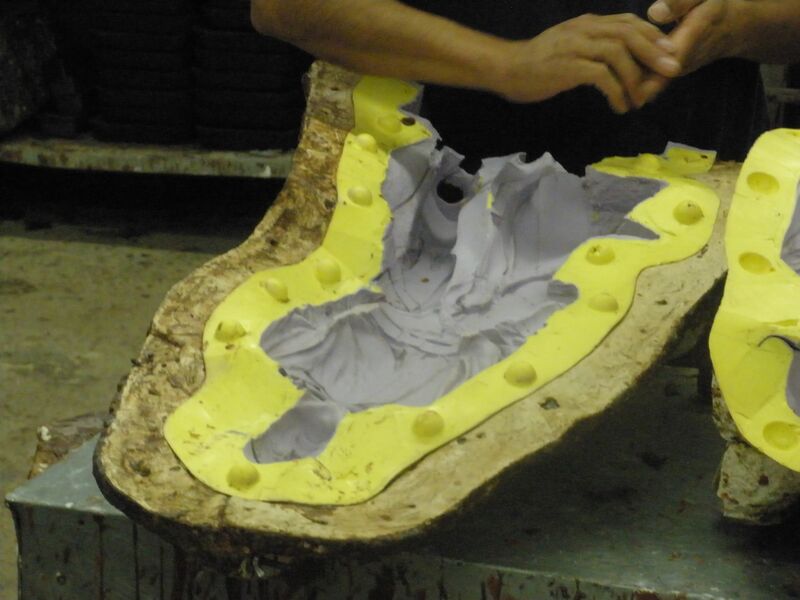 Latex mold: layers of latex are applied to the full-size sculpture mold. 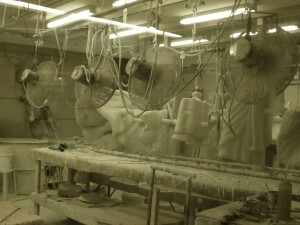 Mold-making: careful planning is required to determine how segments of a large sculpture will be disassembled and reconstructed. Wax casting: the flexible latex mold is held rigid in a plaster case and is now ready for wax casting. 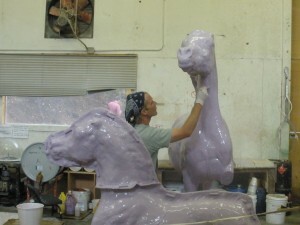 Investment: The wax cast is coated with many layers of liquid refractory ceramic, called an investment. The investment cures for several days. Burn-out: The wax cast inside the investment is fired in a kiln. This process bakes the investment shell and eliminates the wax, leaving a cavity for the bronze casting. 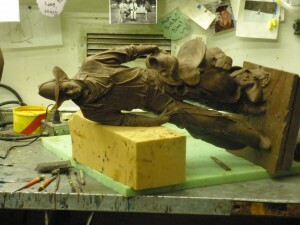 Patina: The finished bronze is treated with chemicals and heated with a flame. This gives the sculpture the desired color according to the artist's specifications.